“PAAM” is a trade mark brand of on organization. With over 30 years of experience we are one of the prominent players in Film Faced Shuttering Plywoods across India. We were one of the first to introduce Film Faced Plywoods in Indian market and since then we have been successful in carving a niche for our superior quality shuttering plywoods. Film Faced Shuttering Plywood are used in concrete pouring in slabs, beams and colums. It tough make and smooth surface give the concrete a mirror like consistent finish. And what more; our shuttering plywoods can be used as many as 50 times depending on density and usage. 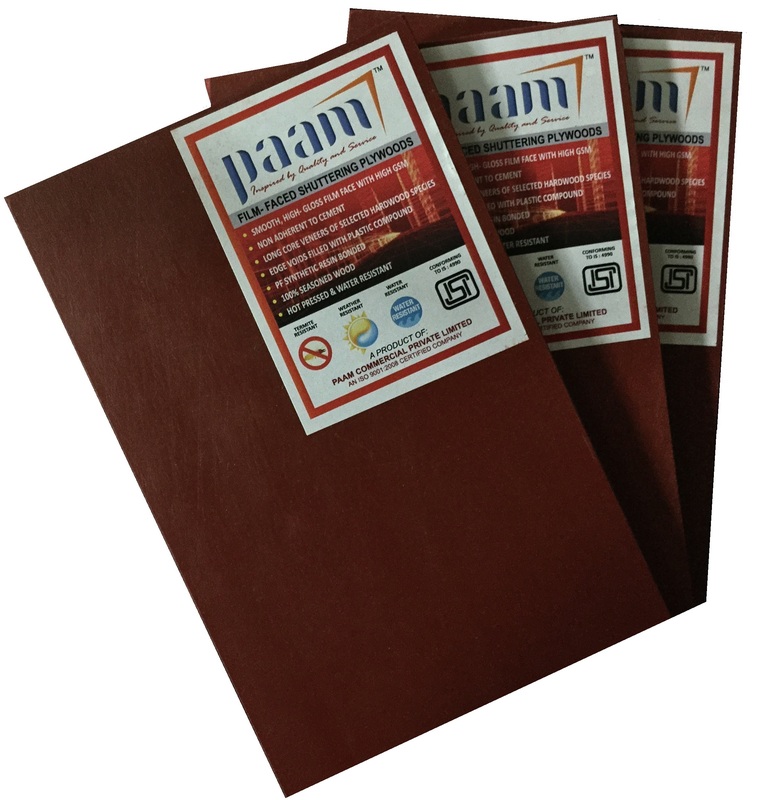 PAAM Shuttering Plywood is manufactured using high pressure Press through a process known as ‘Heating-cooling Cycle’ process.